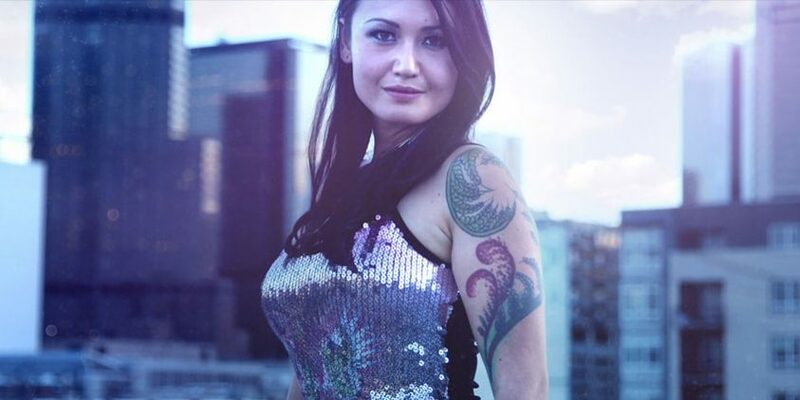 Ill-Esha (pronounced ill-EE-sha) is a Canadian electronic music artist, producer, singer and DJ known for her work in the bass music world, as well as her unique style of singing and DJing simultaneously. From an early age ill-esha had a musical background and she began her career as a vocalist, MC and Drum and Bass DJ in the late 1990s. She was a pioneer in the blending of electronic music genres such as broken beats, hip hop, breaks with D&B during her sets. She released several glitch/dubstep EPs on San Francisco-based Muti Music, and Austin-based label Gravitas Recordings. Most recently ill-esha has been inspired by future bass, the 80s, and galactic soundscapes – her most recent full-length album, “Hyperbolic Space Crochet” is out via acclaimed producer Starkey’s boutique label Seclusiasis. She has also joined the fast-growing Hebinomichi music crew and continues to collab and release via their label.